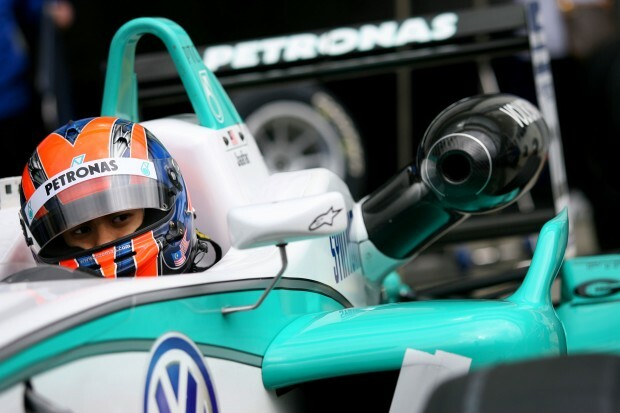 Jazeman travels to France for the third stop on the European leg for the Cooper Tires British F3 International Series which takes place this weekend, with Paul Ricard hosting its first ever round of the championship. The former Formula 1 French Grand Prix circuit,although new to British F3, is well known to Jazeman’s team, Carlin, as they have raced at the venue in other racing series. Jazeman has had a small taste of the track too, having visited earlier in the season with the SPEED EuroSeries and driven a handful of laps in a SPEED EuroSeries sportscar. eager to be back in the driving seat and racing for podium finishes. With a strong season so far, the PETRONAS-supported driver is hoping he can improve further to finish in the top three this weekend. He says, “I’ve finished in the top five in 12 of the 15 races so far and I’ve been on the podium three times. I’m aiming for more, but top three is where I need to be to consolidate my position in the drivers’ championship. series’, there’s only so much that we can learn from this and it’s pretty much a blank sheet of paper for everyone until we hit the track on Friday. There’s various levels of familiarity of the track within the field of drivers; I had a few laps of running in the SPEED sportscar back at the beginning of April, so I have a bit of an idea of the track layout, but I’m expecting it to be quite different in the British F3 car. possible configurations makes it a popular testing venue. The track is also known for its distinctive black and blue coloured runoff areas which are used instead of gravel traps. The Paul Ricard round of the British F3 International Series starts on Friday with practice sessions. Saturday is qualifying and the first of the three races. Sunday concludes the weekend with two further races, including the final 40 minutes feature race.